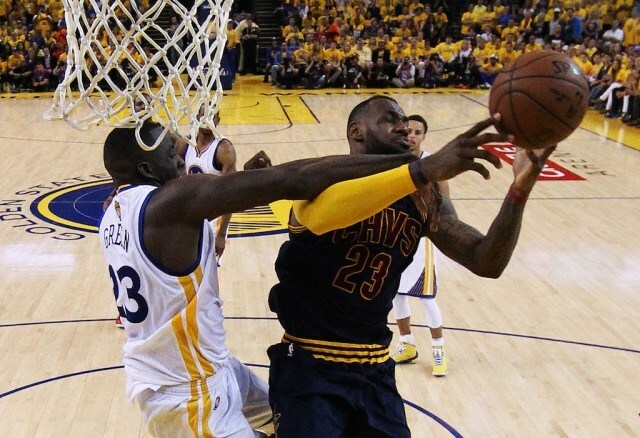 Behind record-breaking performances by LeBron James and Kyrie Irving, the Cleveland Cavaliers extended the NBA Finals for at least one more game with a convincing 112-97 win over the Warriors at Oracle Arena on Monday. Judging by the lopsided outcome of the game, the Golden State Warriors — despite what they may say during press conferences — desperately missed having suspended forward Draymond Green on the court. In our eyes, they flat out need him on the floor or they will fail to repeat as world champions. While Green may not have the notoriety or receive the same type of publicity that a couple of his teammates get, the 6-foot-7, 230-pounder out of Michigan State is arguably the top “glue guy” in the entire NBA. There is no denying that the Warriors just aren’t the same team without him in their lineup. Golden State still has enough talent and depth to consistently beat just about any team in the league without Green. Still, history proves that winning a postseason series in the NBA is all about how teams match up with one another. As we learned in Game 5, the Warriors don’t match up well — for multiple reasons — with the Cavs when Green is out of action. If you have paid any level of attention to this year’s NBA Finals, it is obvious that the Warriors don’t need Green to score 20 (or more) points per game to win. Nevertheless, it’s still clear to us that Green is the key to Golden State beating the Cavs in the NBA Finals for the second consecutive year. Here’s a look at four reasons why this is the case. We already mentioned that Green may be the top “glue guy” in the league, which is something that comes in large part due to his contributions that don’t show up on the stat sheets — and his teammates know it. Following Game 5, Golden State sharpshooter Klay Thompson said, “Draymond does a little bit of everything. Obviously his playmaking, his communication, and his heart and soul.” All said, for as talented as the Warriors’ roster is, they simply do not have a player who brings the same type of nastiness to the court that Green does. One of Green’s greatest attributes as a basketball player is his versatility, especially on the defensive end of the court. He has the size and strength to match up with almost any forward or center in the game, and he has the athleticism and length to defend most guards, too. While he’ll likely spend a great deal of time matched up with James, Green has the ability to defend practically any player on Cleveland’s roster outside of Irving. Also, with Green returning to the court for Game 6 and Andrew Bogut out for the remainder of the series, we will likely see the Warriors go with a small lineup for long stretches. 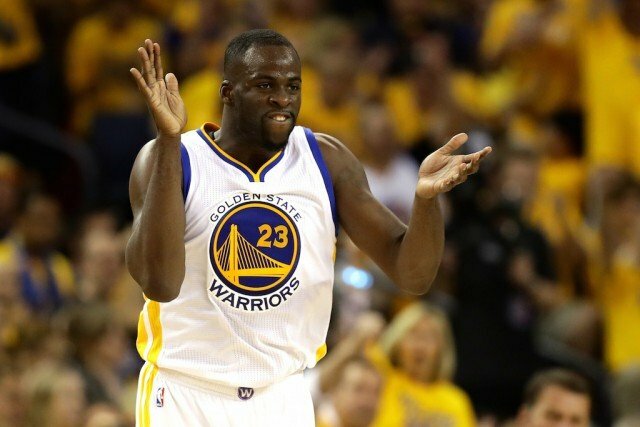 That’s a good thing according to a recent analysis by NBA.com, which showed that the Warriors are at their best when playing with a small lineup that features Green at center. We may sound like a broken record at this point, but this bears repeating: Green’s versatility makes him an invaluable asset to the Warriors. Simply put, his ability to play every position on the court is a characteristic that few other players in the league possess. When it comes to matching up with the Cavs, his ball-handling capability takes a lot of pressure off the other guards on Golden State’s roster, and it has the potential to be the game (and series) changer. A lot has been said — and written — about the feud between Green and James. At the end of the day, the only way we see Golden State slowing down King James is if they have Green on the floor. Physically, there is really nobody in the league that can truly match up with James, especially when he is knocking down jump shots. Where Green comes into play is his ability to get under James’ skin with his physicality and some good old-fashioned trash talk. Don’t be surprised if this is one of the biggest storylines surrounding Game 6 after everything that was said following Game 4.